A quiet and peaceful retreat, in the heart of Keswick, with superb views of Skiddaw and the surrounding fells. This ground floor apartment is full of natural light with original features but modern in its design. The location is outstanding; walkers can tramp nearby fells like Catbells, Walla Crag, Latrigg or Skiddaw, from the doorstep. The cottage/apartment is in the town centre with its wide selection of shops, galleries, museums, tearooms, restaurants and pubs. This beautifully furnished and equipped contemporary apartment offers a luxurious, year round, retreat in the historic, quieter part of Keswick. It has its own patio with barbecue, once the car is parked you need not drive again all week as everything is to hand. It can sleep between 2 and 3 people and is ideal for couples or families with 1 or 2 young children. You can check availability of the property using the form below the picture on the right. You can book a full week (Friday - Friday), or a half week (Friday - Monday or Monday - Friday). Check-in time is 3:00pm, check-out is 9:30am on the day of departure. 1 double, 1 sofa bed. Provided but not towels. A travel cot and high chair are available. You will need to bring all bedding for the sofa bed. Well behaved pets are allowed. Dogs will be charged at £15 per dog per stay. On-street parking is available opposite Station Road, the main road in front of the house, along all side streets. Level access from the back of Victoria Street to the apartment via a back gate. Please note: A refundable damage deposit of £100 is payable one week prior to arrival, made payable to "Results Driven Group Ltd". Please note: There is an Access Statement available for this property. If required please call 01332 843569. Everything was good particularly the location. Enjoyed staying at the Studio. It was just like advertised, good location, everything you required to hand, clean and comfortable. It was a quiet spot which suited us and our dog. Home from home really very nice place would recommend it and looking at next year already. My husband and I stayed at the studio for a week with our 7 month old son. It's in a great location just a few minutes walk from Keswick town centre. The kitchen is well equipped with everything you need for a home away from home break. Great little cottage, great location, had very nice time. Thankyou. Lovely comfortable place to stay . Clean and well furnished . Ideal for shops and all amenities. Would definitely stay there again. Thank you for making our stay in Keswick so enjoyable. Lovely cosy place to stay. This was our first holiday with Keswick Country Holidays and we will certainly be using them again. Excellent value for money. We will be recommending Keswick Country Holidays to everyone we know. The studio is a beautiful apartment has everything you will need all at hand,very very cozy,my wife and I will certainly be coming back. As we had a small dog the property was ideal with its small court yard. Lovely and very clean property. It was very well equipped. They had thought of everything. Good location for Keswick and Derwent Water. Great location in Keswick and central to everything, including buses, swimming pool, shops and restaurants, lake, and walks. 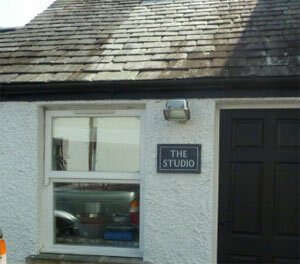 The studio was small but functional and the kitchen was great and included a tumble drier so our towels were always dry. Unfortunately no parking at the property but we were able to unload, then park for free a few streets away where in fact the car stayed all week!!! Only downside was lack of somewhere to put our clothes so we literally lived out of our bags all week which wasn't a major issue. We had our 11 year old son with us but wouldn't suggest the third person being any older than this. There were only two adult stools and a baby highchair so meal times were a bit fragmented with seating arrangements but there is an outside bench table for alfresco dining if the weather permits. All in all would definitely recommend. The accommodation was very presentable and well equipped. Having been sent instructions for entry it was easy and simple to follow and made arrival quick and hassle free. The locations perfect for dropping straight into the high street and walking down to the park and lake. As long as you don't mind parking a few streets away, which was fine for us, this makes a great base if your out and about. The flat screen TV is great on the wall opposite the bed and sofa! This is a small well equipped studio apartment in an excellent location. Perfect for a couple and maybe a small child. Within a few minutes of shops, restaurants, parks and lovely walks. Lots of information was provided. Under floor heating throughout which was a luxury on cold March evenings but sometimes a bit difficult to get the correct level of heat.